Effectiveness is a term largely misrepresented, and hence misunderstood. Take the “busy” professional – they look good, work long hours, deliver fast. These are well-valued traits by any organization. But real effectiveness isn’t about personality. It’s about performance, how measurable outputs achieve the results of the job. Confusing the two can lead to wasted time and lost opportunities. Ask someone how things are going at work these days and the most common response you’ll hear is “extremely busy!” Our usual reaction “Busy is good!”. It’s easy to associate busyness with higher status, that the person must be doing a great job, right? Maybe not. Someone can have energy, work long hours, sound smart, dress nicely – but may not be achieving results. It’s natural to appraise or rate someone based on those personal style or behaviour. We all do it. But these factors alone do not determine real effectiveness. Measuring a leader-manager’s effectiveness means looking beyond first impressions. It should be based on their track record of achieving outputs – real results. It is difficult, if not, impossible to judge managerial effectiveness by observation of behavior alone. While behavior (how we get things done) is important, it must be evaluated in the context of whether it aligns with the output required for the job (what we get done). 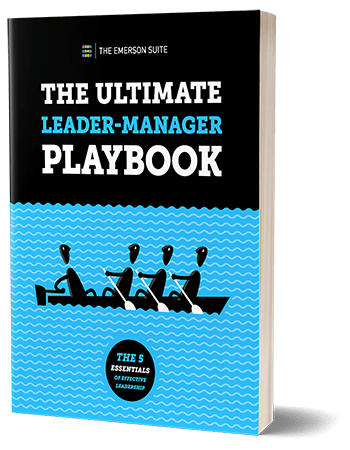 Every leader-manager needs to model the behaviors they expect from their employees. This means showing up on time, being prepared for meetings, having strong work ethics, and making quick decisions, just to name a few. These qualities usually leave people thinking, “Wow, they’re amazing at their job!” But perception, may not be reality. Consider the case of Susan, a Sales & Marketing Director in a downtown Toronto office. She had sales targets to meet and a team of eight to lead and manage. She was the first one in and the last one out each day. Susan seemed like she ran everything and everywhere. In a business that values planning, Susan often made decisions on the fly. “Do it now” was her catch phrase. She was very intelligent, active, optimistic, assertive, and the volume of her day-to-day activities was enormous. Her can-do attitude pushed her to make commitments which she had no possibility of meeting. Over-stretched, and burnt-out, her staff turnover was 80% in one year. Susan didn’t achieve her financial targets either. Her friends and peers may be left thinking,“It wasn’t because of Susan”. Their reaction shows the confusion that exists between how people are perceived based on their behavior and the results they need to achieve. Here’s a team that’s been thrown into chaos by someone who thrives on being busy, but achieves very little in the process. Unclear priorities and expectations leave people moving through their day in a never-ending to-do list cycle. As they continue to check items off the list, it may seem as if a lot is being accomplished, when in fact, individual, team and organizational objectives are suffering. Busyness also masks performance. Individuals can hide behind their long list of activities. It appears they’re running on all cylinders, working hard; only not on the right things. The traits we exhibit at work such as conducting ourselves in the best professional manner, treating others with respect, helping colleagues, going the extra mile to get a job done are all admirable qualities. They are values that are essential to how we must fulfill our role expectations. The problem arises when these qualities are confused with real managerial effectiveness. The good news is this misconception can easily be reversed. All you’ll need is a certain degree of self-awareness. First, get clear on role expectations – define the results, or outputs that need to be achieved. Then, consider what values are important to you and the organization in relation to how you get things done. You can then use these behaviors to anchor your energy to get you focused on the right things. Finally, create a disciplined exercise of continuously building structure to hold yourself accountable to that focus all the time. As a leader-manager, you need to know what real effectiveness is or is not. The decisive metric of success that needs to be evaluated remains a solid track record of results, the measurable outputs of the job. Using outputs as a lens to prioritize, make decisions, and spend time efficiently will allow you to Optimize team performance and achieve real effectiveness and excel as a leader-manager.